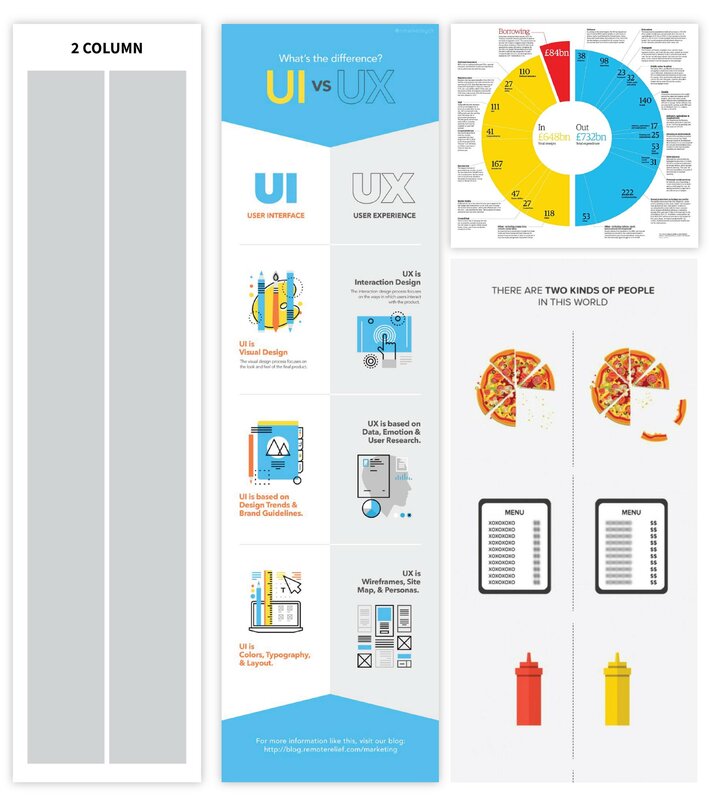 Outline the goals of your infographic. 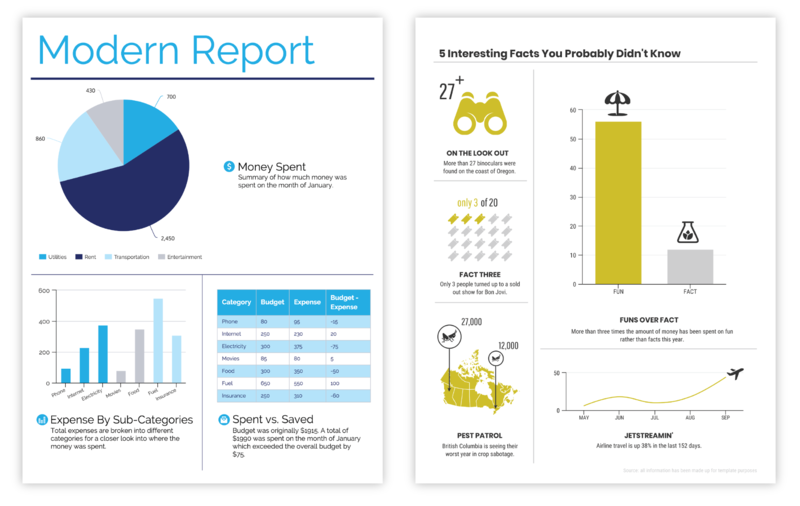 Collect data for your infographic. 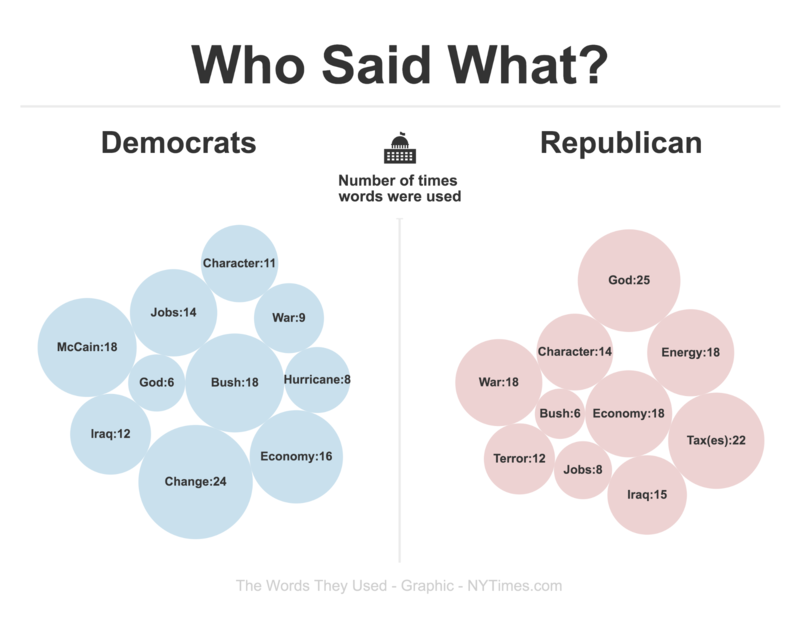 Visualize the data for your infographic. 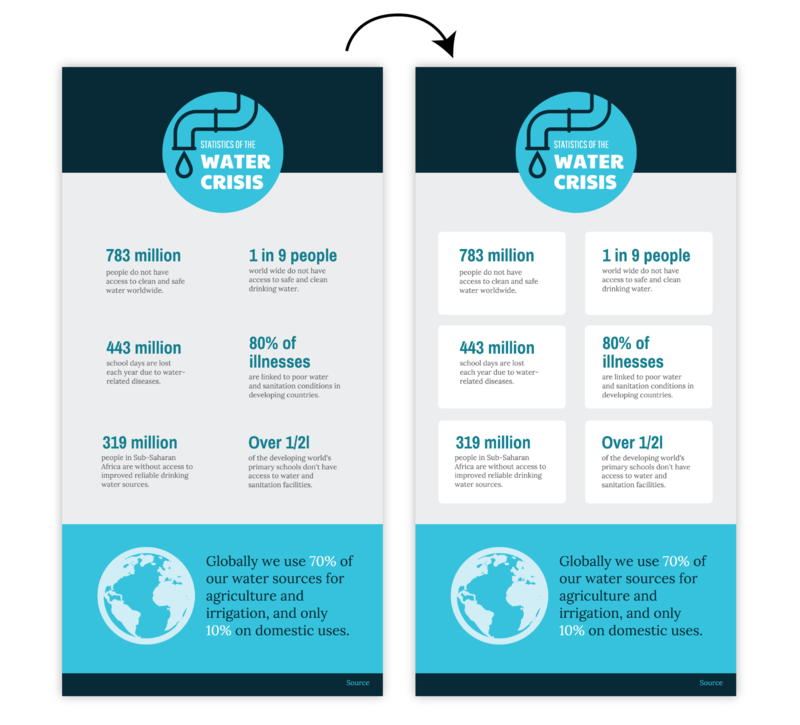 Add style to your infographic design. 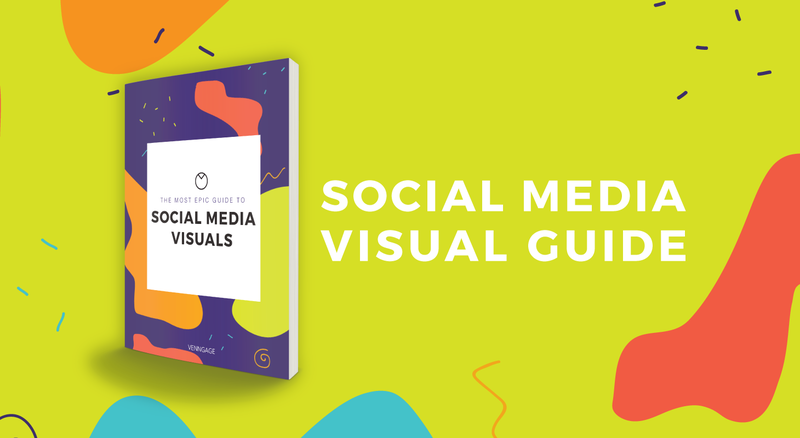 If you want to make an infographic that engages, summarizes, and informs, this guide is for you. From the perspective of someone who isn’t a designer, making an infographic that’s both beautiful and effective can seem like an impossible task…but that’s far from the truth. 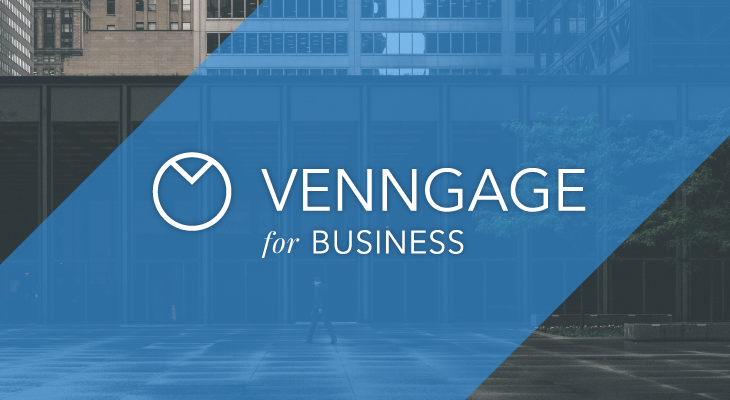 Anyone can create infographics by following our beginner-friendly 5-step process (and by starting with one of Venngage’s infographic templates, but we’ll get to that a bit later). 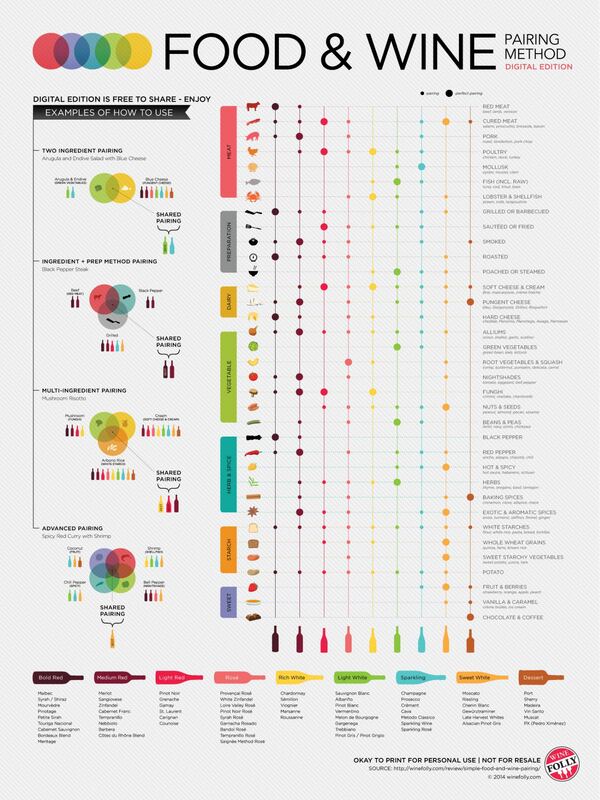 Still unsure what an infographic is and why you’d want to use one? 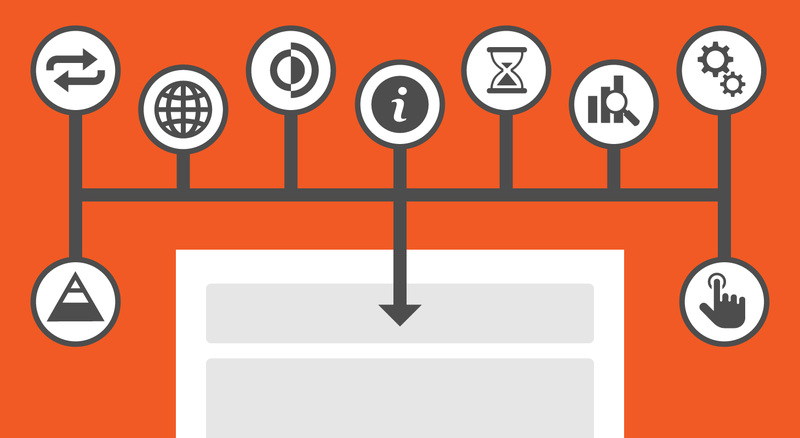 Read our introductory post What is an Infographic? to get a simple, clear definition (with examples). Let’s dive into each step in more detail. Before you begin to think about design, layout, charts, or aesthetics, you need to think hard about the goals of your infographic. Why are you making this infographic? When I say goals, I don’t mean high-level goals like “summarize complex information” or “improve website traffic”. I mean clear, concrete, achievable communication goals. Recognize that you’re creating this infographic so that your audience can gain something very specific from reading it. That very specific thing should be a burning problem that your audience has in their lives, and that your infographic is going to solve. These questions will become the framework around which you’ll build your infographic, and will help you tell a compelling story. The supporting questions should reveal the basic information your audience will need to know to understand the main topic, and the probing questions that will reveal broader insights which should ultimately solve the burning problem. 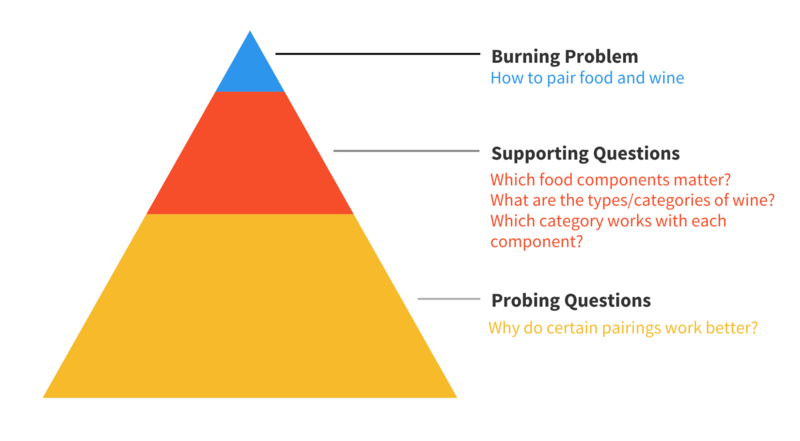 Defining the burning problem and using the question pyramid to break it down into actionable questions is the first step to making an effective infographic. If you’ve gone through this process and you’re still not sure what story should to tell, read more about discovering your infographic story. 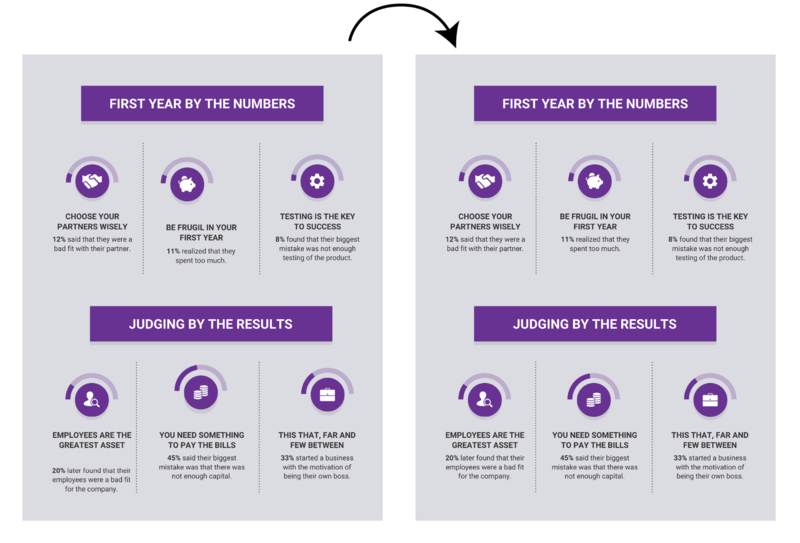 You’ll need some data to help you answer each question you defined in step one. If you have your own data, great–you can move on to step three! If not, don’t worry. There’s a ton of public data available to you (the U.S. alone produces about 2.7 million GB of data per minute), if you just know where to look. Let’s review some strategies for getting your hands on useful data, without having to conduct your own research. American Time Use Survey: Data on the amount of time Americans spend doing various activities like sleeping, eating, and playing sports. If both of these strategies fail you, you might have to collect your own data. To learn more, review our suggestions for conducting your own research, and read our comprehensive guide to data collection. Now you’ve got the questions you want to answer and the data you need to answer them. Your next step should be to decide how to present that data visually. Then use the best practices for that goal to find the right chart for your data. You want to convey an important message or data point that doesn’t require much context to understand. You want to show similarities or differences among values or parts of a whole. Use a bar chart, column chart, bubble chart, or bubble cloud to compare independent values. Use a pie chart, donut chart, pictograph, or tree map to compare parts of a whole. Use a stacked bar chart or stacked column chart to compare categories and parts of a whole. Use a stacked area chart to compare trends over time. You want to show trends over time or space. Use a line chart or an area chart to show changes that are continuous over time. Use a timeline to show discrete events in time. Use a choropleth map to show spatial data. Use a map series to show data that changes over both space and time. You want to show groups, patterns, rank or order. Use a list to show rank or order when you want to provide extra information about each element. Use a table to show rank or order when you want readers to be able to look up specific values. Use a flowchart to show order in a process. Use simple boxes or borders to show organized groups (as seen in Venn diagrams and mind maps). Otherwise, show rank or order with a bar chart, column chart, bubble chart, or pyramid chart. You want to reveal more complex relationships among things. Use a scatter plot when you want to display two variables for a set of data. Use a multi-series plot when you want to compare multiple sets of related data. You want the reader to explore the data and discover insights for themselves. There’s no magic bullet for exploration–the visualization style will really depend on the specifics of your data. 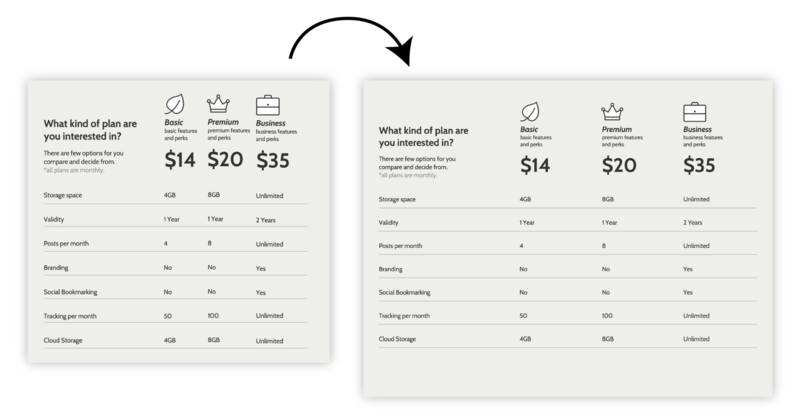 Interactive charts like this one that allow for filtering, sorting, and drilling down are the often best choice, but these can be costly and time-consuming to develop. If you’re a visualization beginner, try to stick to the other choices. That’s a quick rundown of our ICCORE method. 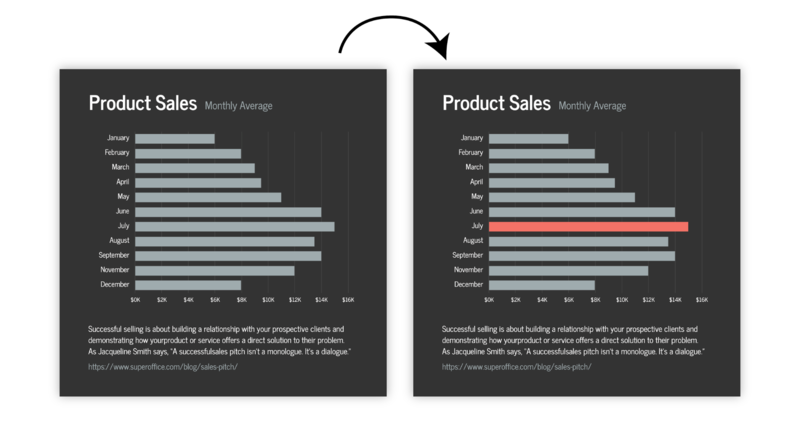 Now, you should have everything you need to pick appropriate charts for each set of data you want to visualize. Just think about what you want to emphasize, and pick your chart accordingly. For more examples and chart best practices, take a look at our full guide on how to choose the best charts for your data. All that’s left is layout and design. Putting your first element on the page can be daunting, but there are a few hacks that will remove some of the guesswork from the equation. 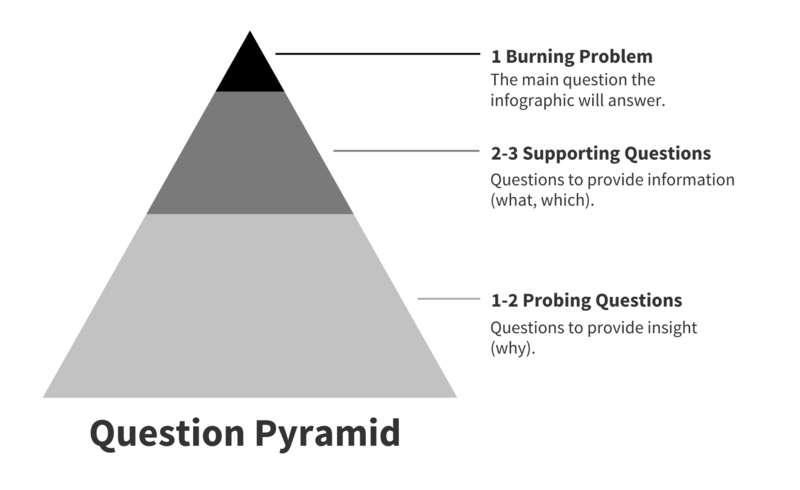 Use the question pyramid you developed in the first step to guide your layout and information flow. 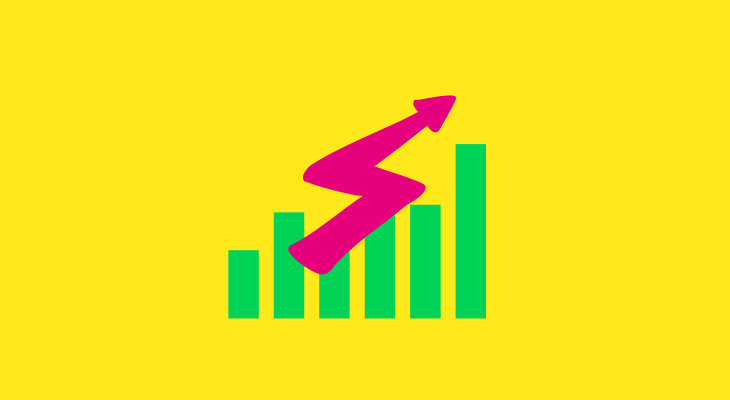 Start by telling your reader what they’ll gain from your infographic (i.e. turn the burning problem into your header), follow up with the charts that address the “supporting questions”, and then drive it all home with the charts that address the “probing questions”. Laying out your elements with a predefined symmetrical grid is an easy tactic that will instantly elevate your infographic. It will give your elements some essential order and, keeping in mind that we naturally read from left to right and top to bottom, it can be used to direct your reader’s gaze from element to element. Whatever layout you use, spacing your elements at regular intervals will create a satisfying sense of structure and balance. 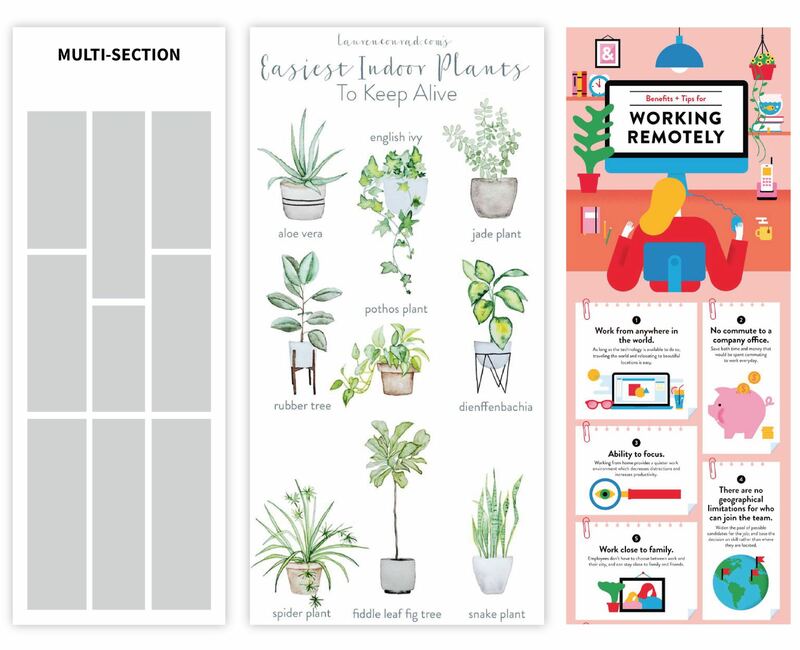 If building a layout from scratch is too intimidating, we offer ready-made infographic templates that you can personalize to fit your data. The trick is to pick one that works well with your content. The best way to do that is to forget about colour, style, and chart types for the time being. 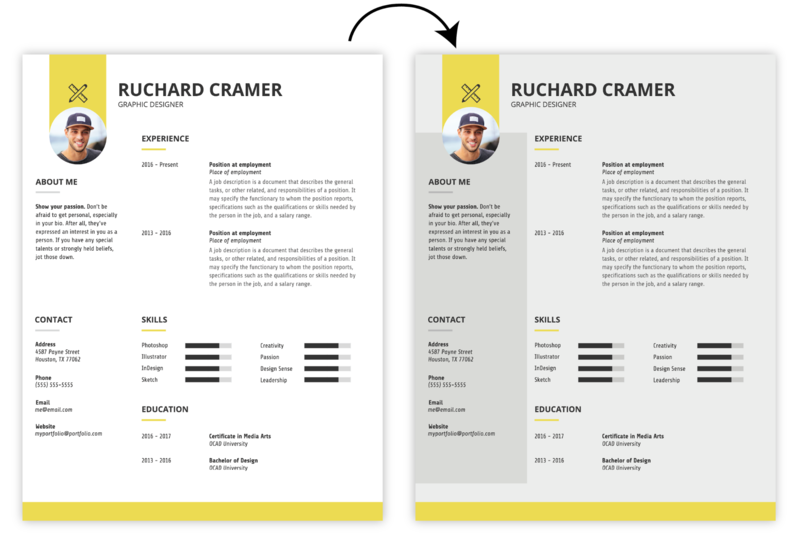 Pick an infographic template based on its structure first, and play with its style second. Everything we talked about in the previous section applies here. 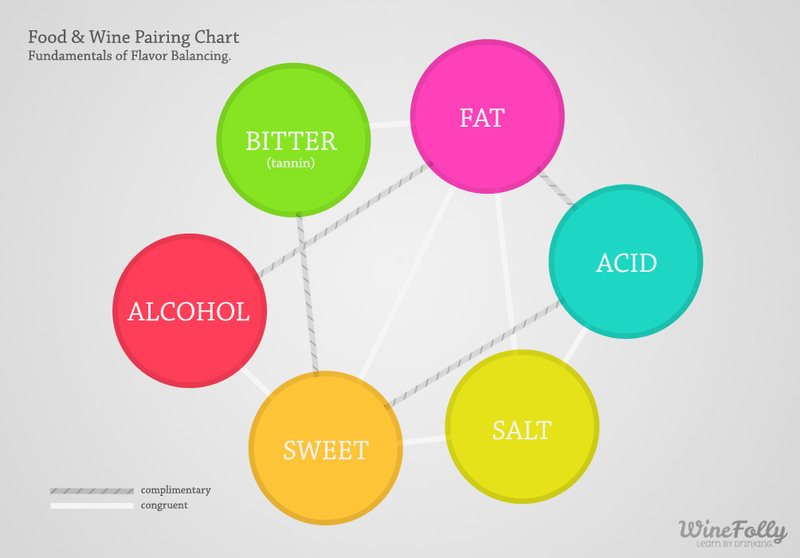 Think how many elements you have and how your story should flow when choosing your infographic template. Once you have an infographic template, just swap in your content and you’re off to the races. 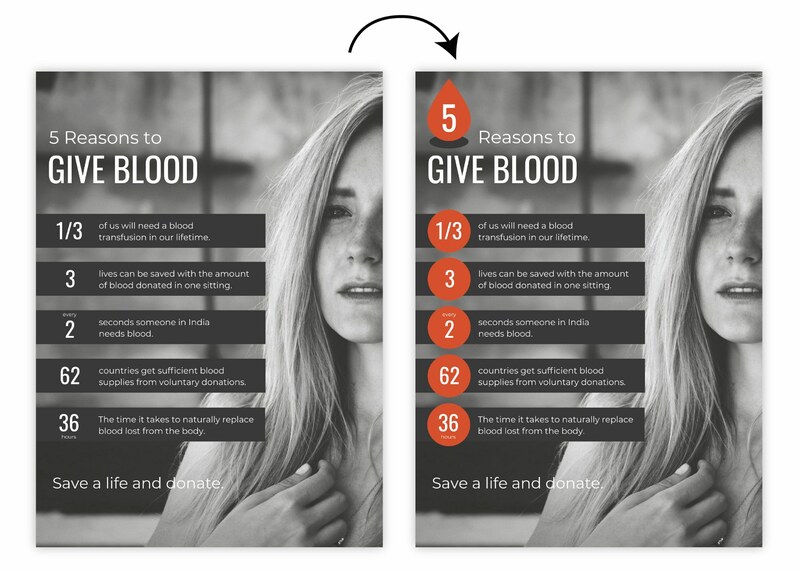 Our post on how to customize your infographic template has even more tips on how to create a unique design. Now comes the fun part–manipulating design elements to add some flair and make sure your infographic is aesthetically pleasing and clear. Try to keep it simple. 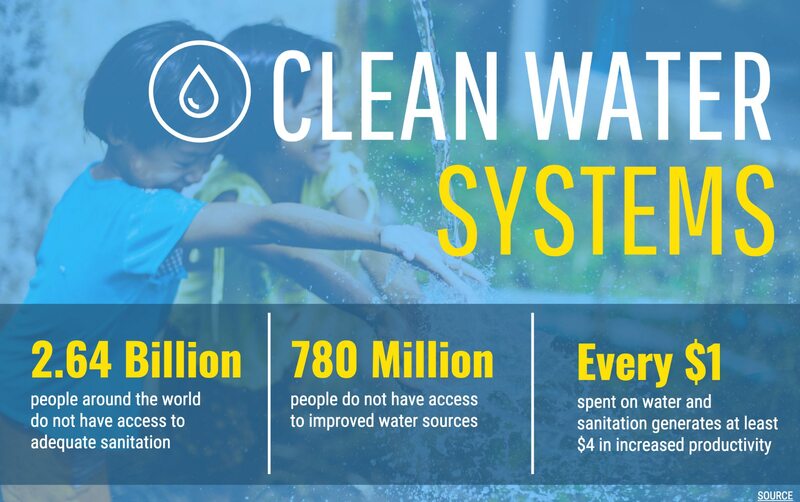 Think of an infographic as a visual summary–the text that’s there should be absolutely necessary to understand the major concepts and supplement the visuals. Reduce your text to short paragraphs (at most) at about a grade six reading level. Want to master the art of typography? 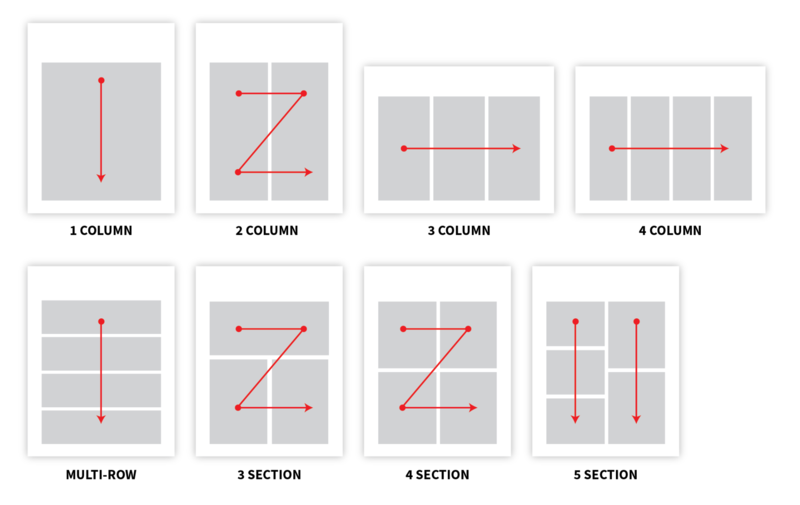 Get our full rundown on how to choose fonts for your infographic. Next, add some extra graphic elements to give your compositions some rhythm and visual interest. 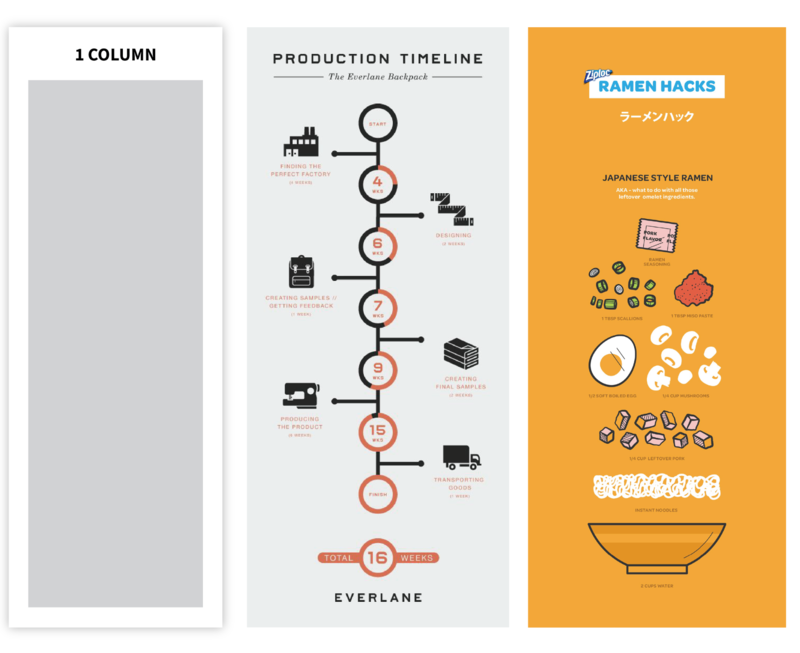 Those are just a few the ways we like to add flair to our infographics. The important thing to remember is that repeated, aligned elements create visual rhythm, which can make a composition feel more complete. Negative space (a.k.a. whitespace) refers to the areas of the page that don’t contain any text or images. Any designer will tell you that negative space is just as important as any other element of a design. 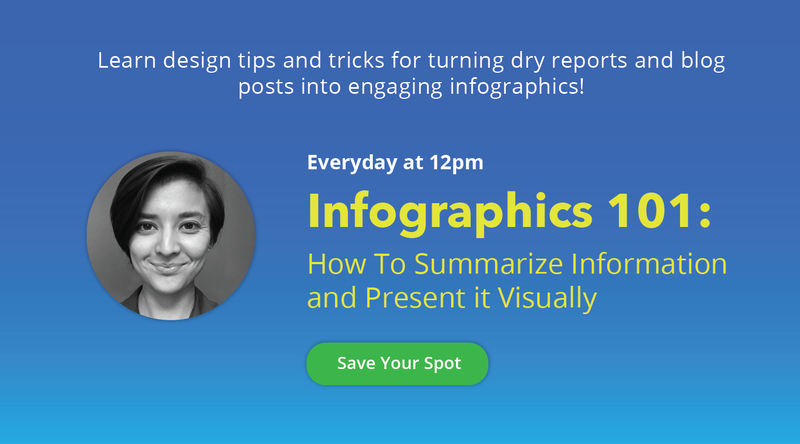 In the same way that when you take a photo, you leave space on either side of your subject, you should leave space around each main element grouping in your infographic. A mark of an expert designer is mastery of negative space. As an amateur, your designs will improve as soon as you start thinking about negative space! Finally we come to color. There’s a reason I’ve left it till the end. While color is a powerful communication tool, a truly great design should communicate effectively in black and white. Think of color like an added bonus–a way that you can help your reader understand your content. When it comes to combining colors, we’ve got you covered. 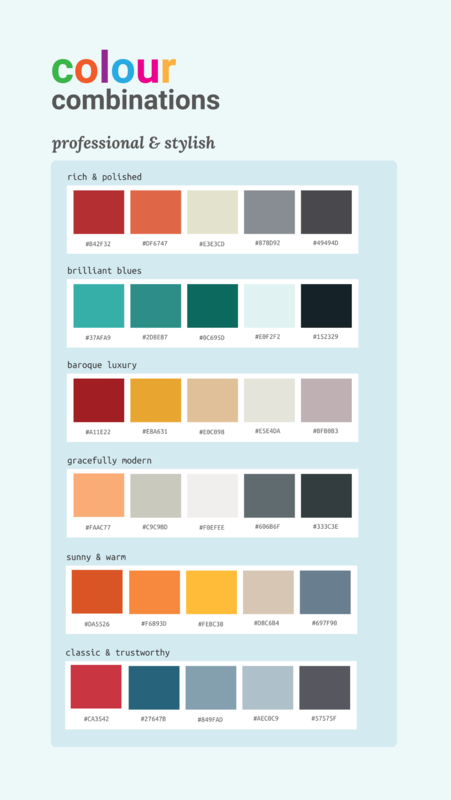 We’ve put together a number of color schemes that will work for a range of infographics. That’s it! If you remember to think about fonts, repetition and alignment, negative space, and color, your infographic is sure to turn out well. Check out the biggest graphic design trends of 2019 for even more ideas. If you’ve made it this far, your design skills are miles ahead of most non-designers. 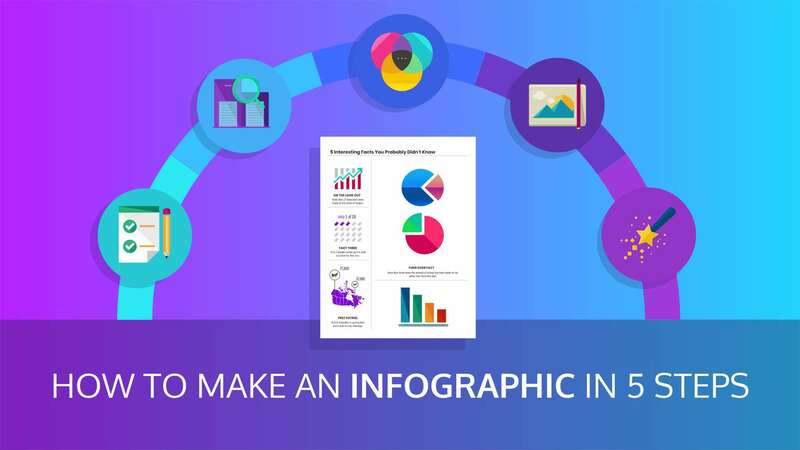 You should have a good grasp on how to make an infographic in 5 steps, and have all the tools you need to make your first infographic.